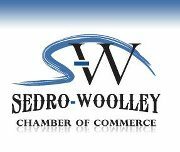 Sedro-Woolley Auto Parts is a full-service auto parts facility serving Bellingham, WA. No matter what brand, make or model you drive, we have the knowledge to guide you to the right parts for your car or truck. Call 360-855-0341 now so you too can discover why we are the best choice in Bellingham for automotive parts which include Batteries, Counter Services, Custom Paint Services, Hoses, Machine Shop, Paint Brands, Paint Supplies & Services and Refurbishing Supplies.